Competitive ski touring involves both aerobic and anaerobic exercise as well as strength endurance. The relative proportions depend on the duration, terrain and the altitude – the higher, the less oxygen is available. From a nutrional standpoint, the challenge is to satisfy energy and fluid requirements with foods that are practical and easily transportable in the cold. Recovery is especially important, as the body needs more time to regenerate after exercising at higher altitudes. Recreational ski tourers require lightweight snacks such as bars and sports drinks that fit conveniently into a backpack. 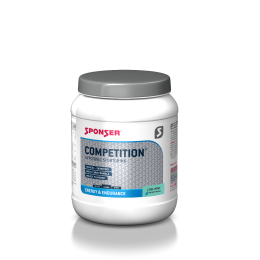 The carbohydrate sports drink COMPETITION® is well-tolerated and recommended for classic endurance sports as well as ski touring thanks to its acid-free, mildly flavoured, hypotonic formula. 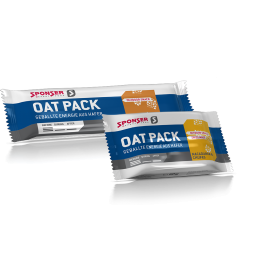 Meals can be replaced by easily digestible, concentrated energy bars such as the HIGH ENERGY BAR or OAT PACK. As bars become very hard in the cold, they should be kept close to the body (except chocolate-covered bars). 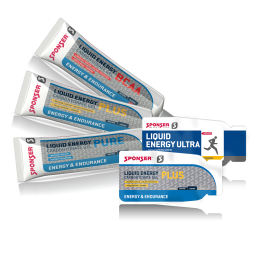 The LIQUID ENERGY carbohydrate gel is convenient for sudden drops in energy and even stays liquid at very low temepratures. In contrast to bars, gels are not chewed and thus do not impair breathing. Competitive ski touring, as previously mentioned, involves a wide range of loads depending on the terrain and the duration of the tour. The reduced oxygen concentration at higher altitudes increases physical stress and a higher lactic acid tolerance can be advantageous. Thus, LACTAT BUFFER and BETA ALANINE are highly recommmended. 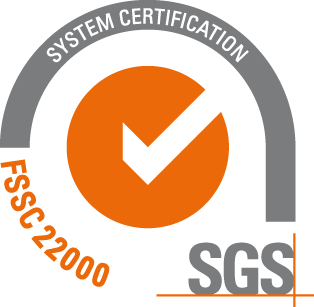 SPONSER® also offers highly specialized products, so-called PERFORMANCE OPTIMIZERS. The NITROFLOW PERFORMANCE2 or RED BEET VINITROX contain nutrients that support nitric oxide (NO) metabolism by dilating blood vessels. As a result, microcirculation is enhanced which positively influences performance but also recovery. NO metabolism is especially important for acclimitization and recovery from exercise at high altitudes. Endurance performance, as well as alertness and concentration, has also been proven to increase with caffeine. This is essential for winter mountaineers as they have to compensate for short sleeping time and early morning exertion. As sensitivity to caffeine varies from person to person, ACTIVATOR should be tested in different doses at first. SPONSER® also offers MENTAL FOCUS, a caffeine-free alternative specifically designed for cognitive and mental performance. 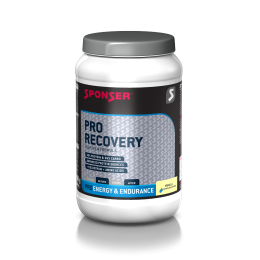 To promote recovery, SPONSER® recommends shakes with protein and carbohydrates such as RECOVERY DRINK or PRO RECOVERY. They are based on milk or water and are available in single portion sachets or bigger tubs depending on the preference and use. Generally, winter athletes and frequent travelers pay more attention to preventing infections and strengthening their immune system, which are not easy to achieve. Athletes that travel often, go to training camps, bigger events or competitions are at higher risk of getting an infection. Multinutrient supplements with immunoactive substances such as IMMUNOGUARD along with a healthy lifestyle and balanced diet will strengthen your immune system.